As last day, another biggest vulnerability leaked on the Black Hat Internet market, as the exploit of the WHMCS Sqli vulnerability, that allows many hackers to hacked the hosting website using WHMCS software version 5.2. 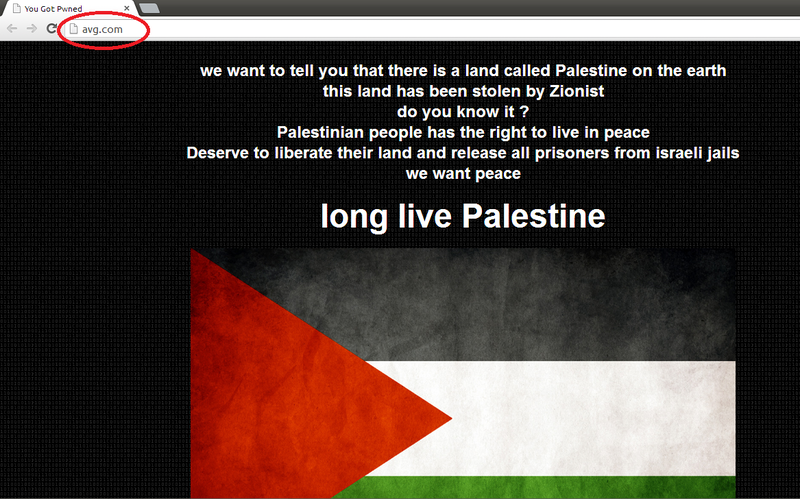 With the same exploit Palestinian hackers, named as KDMS Team have hacked one of the World's largest hosting provider LeaseWeb and defaced it. Once again today, KDMS Team have hacked AVG official site (www.avg.com). It’s uncertain if the incident is a result of a breach of AVG’s systems or if it’s another case of DNS hijacking. “We are here to deliver two messages. First one: we want to tell you that there is a land called Palestine on the earth. This land has been stolen by Zionist. Do you know it? Palestinian people has the right to live in peace. Deserve to liberate their land and release all prisoners from Israeli jails. We want peace. Long live Palestine". Update:- After the breached of the AVG site, Now Palestinian hackers, named as KDMS Team have hacked and defaced another antivirus firm Avira site (www.avira.com). As at the time of writing Avira site is still showing deface and whatsup site has been restored. After the checking the common this between these three is that, they all belong to the same domain register. NETWORK SOLUTIONS, LLC is common Domain Registrar for AVG, Avira and Whatsapp . Possibly, hacker compromised the Domain Registrar and modifies the DNS settings to perform DNS Hijacking.